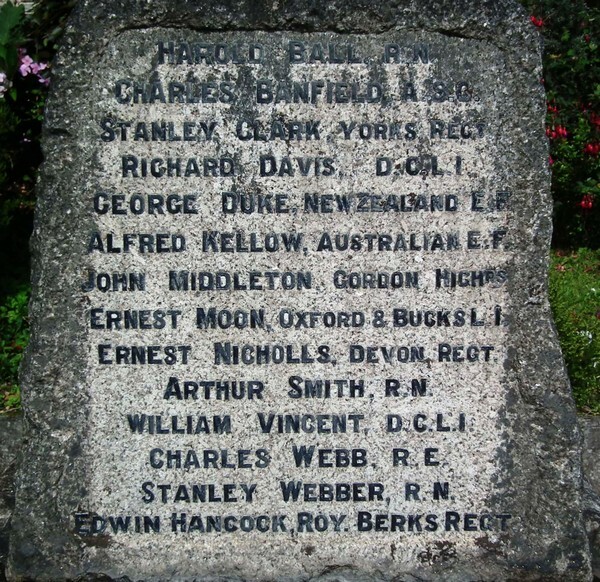 The War Memorial can be found next to the public rooms in Hessenford. Registered Charity No: 288686 | © 2014 the Cornwall Family History Society. All rights reserved.